You're no longer allowed to open a joint credit card at Chase. Other banks, including HSBC and Capital One, stopped offering this option years ago. Chase will no longer allow customers to open joint credit cards, a popular option for couples who want to share equal responsibility for payments. The issuer recently pulled the plug on the option in order to "simplify" its offerings, according to a Chase spokesman. Instead of opening a joint credit card, customers will have to add their spouse, partner or anyone else they want as an authorized user to an account. Existing customers who already have joint accounts will not be impacted, however. 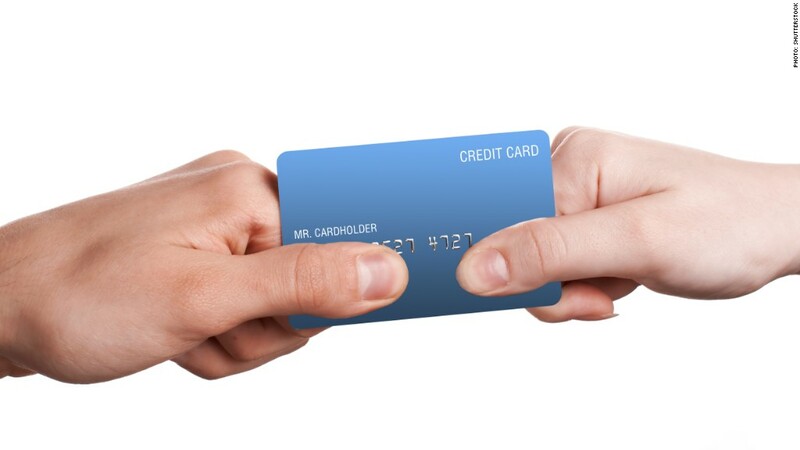 As joint cardholders, both people are equally liable for the amount owed. However, when there is an authorized user on the card, only the primary account holder is liable for payments. That means they run the risk of getting stuck with the payments should the relationship end. In both scenarios, the card typically appears on the credit reports of both parties and has an equal impact on their credit scores. Eliminating the joint cardholder option is not only a way to simplify things for card issuers, but it could also be a move to avoid extra scrutiny from regulators, said Nessa Feddis, a senior vice president at American Bankers Association. Last year, the Consumer Financial Protection Bureau announced that issuers are no longer able to deny credit card applicants based on their income -- a move that mainly benefits spouses or partners who aren't bringing in any income like stay-at-home parents. Since regulators want to make sure card issuers aren't requiring one-income couples to apply for joint accounts, simply phasing out these accounts altogether may help issuers avoid suspicion from examiners, said Feddis. Plus, now that people without income should be able to qualify for a credit card, there will likely be less need for joint accounts. Chase isn't the first issuer to get rid of the joint credit card option. HSBC scrapped it in 2010, and Capital One stopped offering the option about ten years ago. TD Bank and American Express have never allowed joint account holders, while Bank of America, Wells Fargo, U.S. Bank and Discover still provide customers with this option. More banks will likely follow, said John Ulzheimer, credit expert with CreditSesame.com. That may not be such a bad thing for consumers, he said. Opening separate credit card accounts is often a smarter option than opening joint cards. That way, there's no question about who spent what amount and who is responsible for paying it -- and, even better, one person's bad habits can't hurt the other's credit score, he said.